Liane Fedor of Interventional Radiology says baking is a stress reliever for her, so she was thrilled to help make brownie bites for construction workers like Brian Owens. She loves the added benefit of getting behind-the-scenes of the construction project and staying involved. 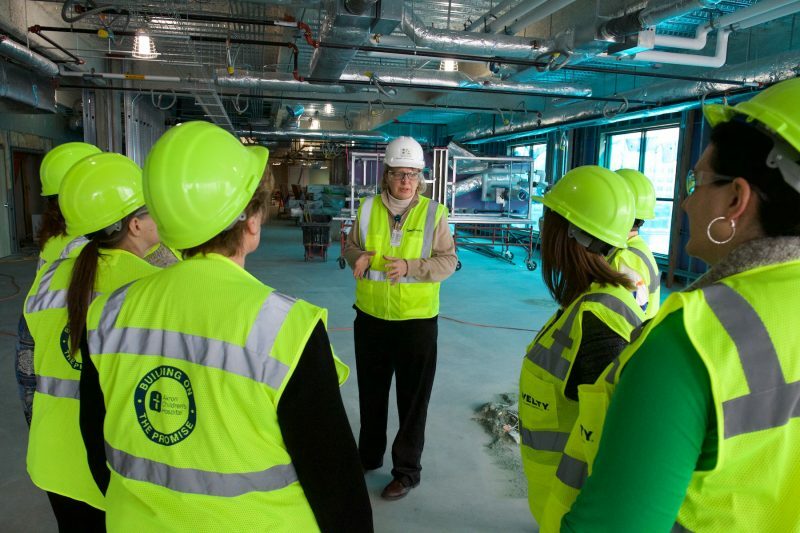 It’s not quite a baker’s dozen, but once a month Akron Children’s employees are awarded a sneak peek inside the new Considine Professional Building’s expansion as a ‘thank you’ for their participation in the hospital’s Bakers for Builders program. 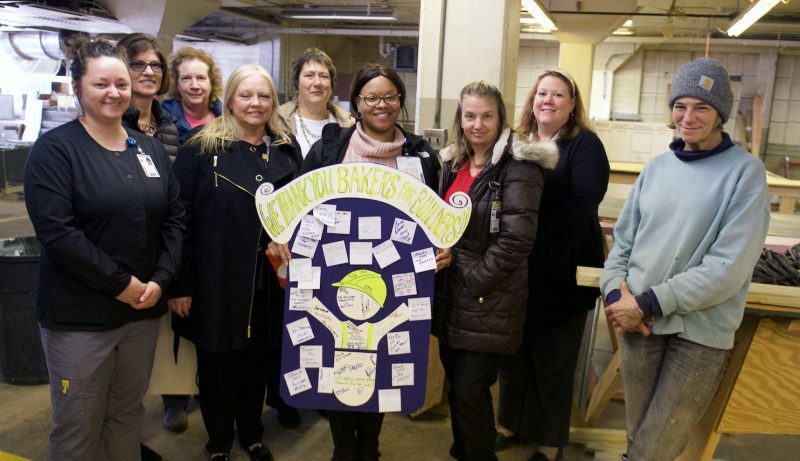 In March, Iron worker Wendy Nolen of Forest City Erectors (at right) created a poster to thank the bakers. Other workers added their appreciation on post-it notes, too. “They take care of people here. They take care of people at home. Then, they bake for us? I just thought it was so nice…And I want to make sure we get more cookies,” Wendy said with a laugh about why she made the poster. 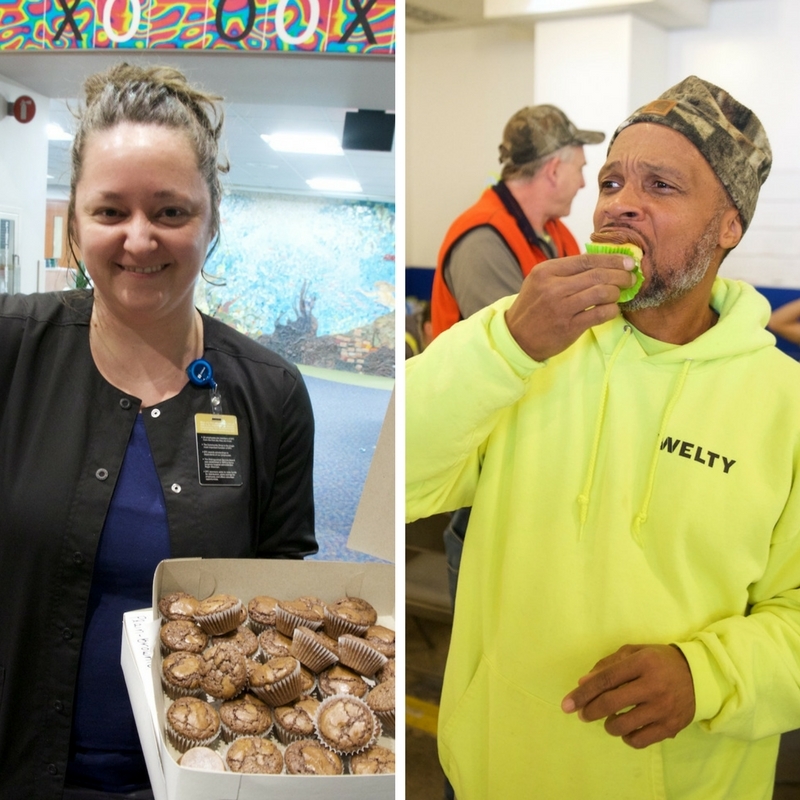 On the second Tuesday of each month, volunteer bakers are asked to make or buy between 4-6 dozen treats for approximately 200 onsite contract builders. Anna provides the boxes for transporting goodies and arranges for a few people to bring nut- and gluten-free options. 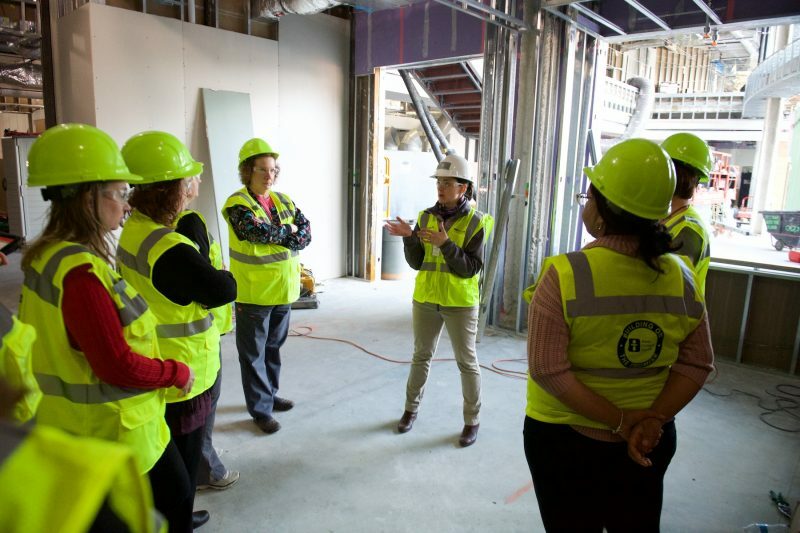 Marge Zezulewicz from Hasenstab Architects gives the bakers a tour of the construction area. To keep an element of surprise, the first visit of the year is always unannounced. The bakers were happy to greet the builders as they broke for lunch and started digging into the treats. Jim Keyerleber, safety manager for Welty Building Company, joked it was the happiest he’d seen the guys all day. “I know how much they appreciate this and it’s nice to feel appreciated in return,” he said. After putting out a ‘call for bakers’ less than 2 weeks ago, Anna says the baking calendar is already full through April. Michelle Tomei from Hasenstab Architects explains the construction sequence, interior design themes and which spaces are patient care areas vs. staff offices and break rooms. “We’ve had an overwhelming response to this program, but we still need bakers for the late spring, summer and fall months,” she said. 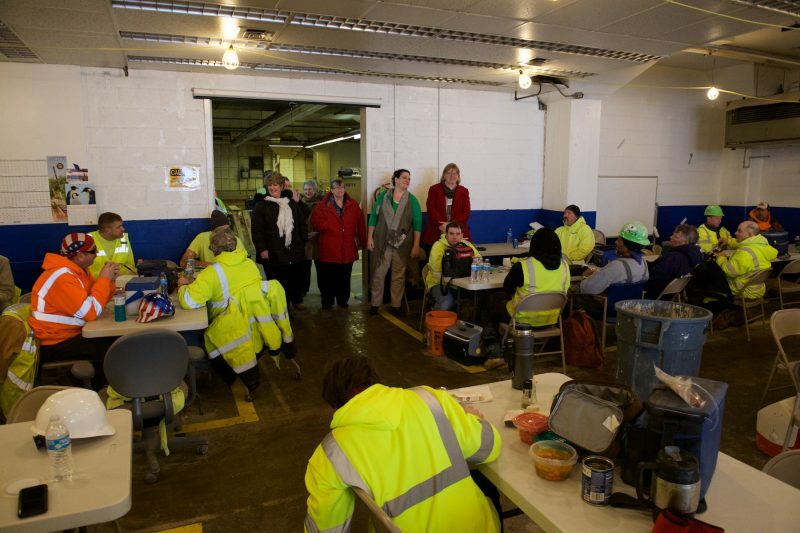 Employees who would like to help can call Anna at 330-543-5410.